NORTH EASTERN RAILWAY RECRUITMENT 2018 APPRENTICE APPLY ONLINE FOR 745 POSTS. 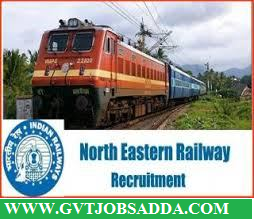 North Eastern Railway Recruitment 2018 Advertisement has published on for the 745 Apprentice Posts. on 29-11-2018,Those candidates who are eligible & and interested for Apprentice recruitment candidates may check official notification and apply before last date of online apply.Brief information about North Eastern Railway Recruitment 2018 745 Apprentice Posts. Education & Eligibility criteria North Eastern Railway Recruitment 2018 745 Apprentice Posts. For More Details About North Eastern Railway Recruitment 2018 745 Apprentice Posts candidates should visit official website before apply.